MP3 was a much sought-after term in the 1990s and early 2000s. A lot of us will be able to relate to the days of slow dial-up when downloading a song could take close to an hour. This was one of the major reasons why MP3 rose to power. MP3, also known as MPEG-1 is an audio coding format for digital audio developed by the Moving Picture Experts Group (MPEG) as part of its MPEG-1 standard. It uses a form of lossy data compression which is irreversible and uses random approximations to represent the content. This technique was deployed to decrease the file size, and it could typically reduce up to 85% of the size required for storage, handling, and transmitting content. Despite the data compression, the sound quality could be retained to a fair extent. 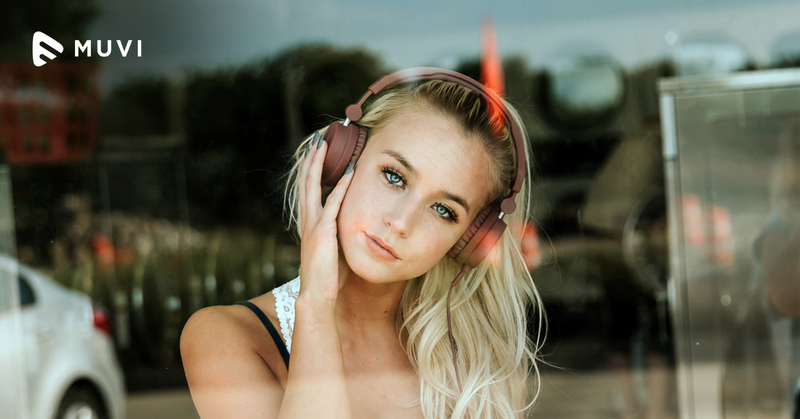 The MP3 lossy compression reduces the accuracy of certain portions of continuous sound that are beyond the hearing ability of the average human ear. This phenomenon is called perceptual coding or psychoacoustics. MP3 was coded using this psychoacoustic model. Users could download and listen to music, being online even with a low internet speed and low processing computers. Due to this ease of downloading and sharing, techies and enthusiasts started using MP3 files and soon got used to it. There was no need for any exclusive software or hardware to be able to access these files. The MP3 format emerged as the next big thing in the music distribution industry. It triggered the introduction of MP3 players and iPods which could contain much more than a mere album; which wasn’t the case with the then hot cake, the compact cassette. Life became easier for music hobbyists as they didn’t have to carry the weight of their two-in-one and their favorite cassette(s). They could just pocket their entire library in a tiny device and move around. MP3 files could be found on the internet, downloaded, and stored on a personal computer. The downloaded file could be transferred to a portable MP3 player or converted to an audio CD. MP3 files could be ripped from an audio CD and transferred to the computer. Files could be shared or transferred to other connected users. The world had not witnessed a more flexible and convenient media file format until then. People went crazy over the fact that they could access music which was absolutely free, with no regulations against replicating it. The concept of manual rewind went to the archives, and listeners could instantly play, seek forward or backward, and change tracks. MP3 came into being in 1993. The Internet Underground Music Archive (IUMA) first started distributing MP3 files in the second half of the 1990s via underground pirated song networks. After some initial efforts of using uncompressed audio files, the Internet Underground Music Archive (IUMA) started to offer some compressed MPEG audio files using MP2 format, and later MP3 files. MP3s began to rise in popularity with Winamp, which was released in 1997.
mp3.com started in November 1997 and offered thousands of mp3s created mostly by independent artists for free. Try logging in today; you might find it blocked. Peer-to-peer file sharing of music was made possible due to the small size of MP3 files. The introduction of Napster in 1999 later made it easy to create and share MP3s. Apple launched the iPod in 2001. It was compact to carry and use, and music could be added to it from CDs and other online sources. Owing to the popularity of MP3, Apple enabled format conversion while uploading to iTunes. Despite what a superstar MP3 seemed to be, it wasn’t very popular among composers, technicians, recording studios, and even artists, owing to quality concerns. This was majorly because of the lossy codec that it’s built on. A series of compression and decompression (codec), coupled with psychoacoustics, if not substantially, but marginally caused quality loss. To add to this low quality of audio, as an after effect of the Y2K bug, a lot of companies came about to fight for the standardization of content quality. People were now more aware of the quality of music with different kinds of formats coming in. Technologies such as Windows Media Audio (WMA) from Microsoft and QuickTime had emerged for this cause. Several objections were raised against psychoacoustic lossy codecs. This frustrating change brought into picture the MPEG-4 format which looked after the standards, quality, as well as the size of the file. Along with this came better processing capabilities and networking speed. By the time iPods came into existence, maximum sharing of music files had been done in the MP3 format. It was too late to enforce anything with regards to the exchange of music files as MP3 had the power to multiply users by the second. However, it was fairly easy to sell the hunger for better quality to the average consumer, thanks to marketers who have been proposing value under the notion that “latest is better”, ever since. Sound quality was now prioritized by a larger number of people being aware of how this shift was brought about. 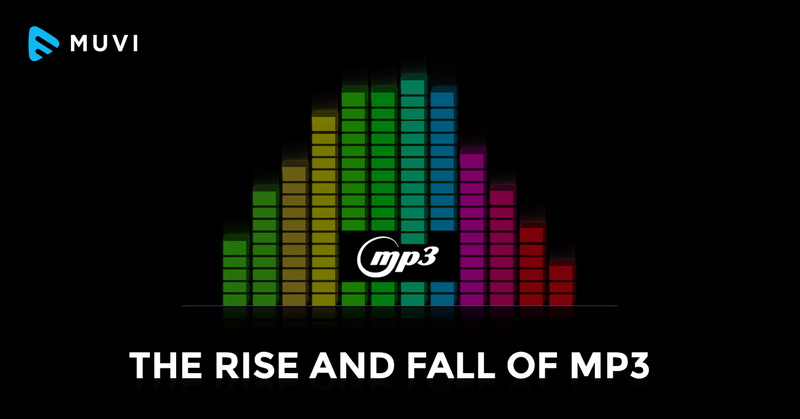 It was not just the quality that led to the fall of MP3, but it was also the advent of newer and better sound qualities that led to this decline. In a world that was digitally developing at a pace faster than ever, users were encouraged to try out different formats. The movement was initiated by a few but escalated by many. Besides quality, form was another factor that influenced listener’s preference. While a major part of the world was happy with downloading and transferring music files, another chunk of the audience was gradually getting exposed to a new form of music consumption – online music streaming. In the early 2000s, companies such as last.fm and Pandora launched their online music streaming service, where one no longer needed to download, store or carry their music. 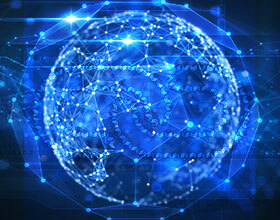 They could simply stream music from the site, on a device connected to the internet, be it mobile, laptop, or a PC. Arguably the most famous file format in the history of audio streaming, the MP3 holds a special share of mind for any kid who was raised during the 90s. Today, MP3 is almost nonexistent, with the advent of other audio file formats. However, MP3’s journey is one timeline that the media history will remember and reverb for a long time.